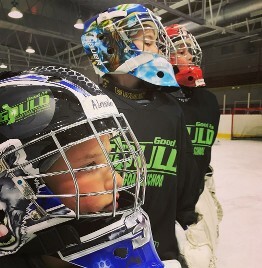 Good As Gould Goalie Schools offers private goalie clinics and lessons to small groups and individuals. They are held at North Shore Ice Arena, All Seasons Ice Arena and Willowbrook Ice Arena. For more information, including price and available appointment times, please call Stu at (630) 753-9645. Private goalie lessons are not available during summer goalie camps. Northbrook, IL 60062 Cross Streets: Between Kamp Dr. and Techny Rd.